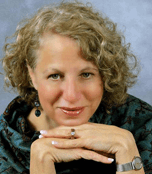 Susan P. Epstein, LCSW, is a life coach, parent coach, teen life coach, family coach, and couples coach. She practiced psychotherapy for 23 years before becoming a coach, writer, and speaker on topics of family and parenting. Susan’s Parent and Life Coaching Has Helped People Like You . . .
Parents who want their children to be more respectful, listen better, and get along better. Parents who are Free Coaching Consultationoverwhelmed with work and family obligations. Learn about her parent coaching. Children who are experiencing behavior problems associated with ADD, ADHD, Bipolar Disorder, Depression, and Anxiety. As a teen life coach, Susan works with teenagers who struggle with limits, boundaries, authority, peer pressure, identity, and future goals. Families and Individuals who are experiencing Depression, Eating Disorders, and other anxiety-related disorders. Families and individuals confronted with separation, divorce, and loss, including those who would be helped through loss by a grief coach. Couples. As a couples coach, Susan enjoys helping couples to rediscover joy. Susan was a huge gift at a very critical time. A coach helps to cut to the chase with out all the emotional attachment. They can quickly see what we don’t (or choose not to). A coach holds you accountable. If you mess up, well big deal- they are your goals anyway… but if someone is there saying- are you sure about that choice? You said you wanted blank, blank, blank… and can say it in a very nonjudgmental way- wow – it can really help you get on track! I am very thankful for all Susan has taught me! Susan graduated from Clark University in Worcester, MA in 1980, where she earned a B.A. degree in Sociology and Spanish with a minor in Psychology. She worked for the Massachusetts Society for the Prevention of Cruelty to Children until moving to California in 1984, where she pursued her M.S.W. from the University of California at Berkeley School of Social Welfare. She is a certified Brief Strategic Family Therapist and trained with the Family Therapy Institute, at the University of Miami. She completed training in 2003 with the internationally accredited Coaches Training Institute. Bilingual in English/Spanish, has enabled Susan to work with different cultures throughout her career. “No I Won’t and You Can’t Make Me!” How to Handle Power Struggles with Your Child. How to Gain Control of Your Wild Child & Have a Peaceful Home. Susan worked and consulted at the Child & Family Agency of Southeastern, Connecticut, the Lawrence & Memorial Hospital, the Old Lyme Youth Service Bureau, Pfizer Global Research & Development, and United Behavioral Health, and Community Solutions Inc. (providing in-home services for families of court mandated juveniles.) She sserved as an expert consultant for MDRC a Social Policy Research firm in New York City. In January of 2007, Susan launched her own Internet business, Parenting Powers. Susan believes that individuals and groups are capable of helping themselves by tapping into their own strengths, creativity, and resources. She is highly attuned to process and interaction and has the expertise to point out the origins of stress and frustration. Her unique blend experience makes Susan a powerful catalyst for change when working with clients. Through thoughtful and sensitive exploration and perspective, her clients learn to trust their intuition, confront their fears, plan effectively, and step into their future to claim their lives and dreams. The Take Back Your Parenting Power System: Get Control of Your Kids in 30 Days or Less: The Secret Formula to Powerful Parenting, is a hands on manual that presents real issues parents face with children and adolescents in today’s plugged-in, fast paced society. This book will be released on November 26, 2007, and is published by Shining Star Publishing Company. “Spanking Doesn’t Have to Be an Option,” Op Ed, The New London Day, December, 2007. “Laughter in the Laundry” was published in The Bank St. Magazine, in New London, August, 2005. Susan lives with her husband Michael in New London, CT. Her son Daniel, 23, is a gifted writer and poet and has just published his first book of poetry, Somewhere in the Middle. Her daughter, Sarah, 19, is studying dance in Berlin and recording her first CD in London.